The traditional barriers preventing bad actors from infiltrating your business are fading away. The digital age has broken down physical security barriers, and the cloud revolution has overcome network boundaries. The last perimeter left is the identity perimeter, which is only as strong as the login information for each of your employees. Identity perimeter is a concept that helps you better understand your security environment. Watch a short video on it here. It involves making users confirm their identity before giving them access to information. Confirmation using a device separate from the login-device is called Multi-Factor Authentication (MFA). You probably already have experience with this when a computer login sends a text-confirmation with a code to your phone. By ensuring that credentials are only used by the designated user, companies strengthen their identity perimeter. Peters & Associates offers a four-step process to secure the identity perimeter of Office 365, named Office 365 Multi-Factor Authentication. The first step is a Health-Check because we need to understand the environment before we can provide recommendations. Here, our security experts examine the Office 365 environment for suspicious activity. We identify anything like credentials which have been compromised or unusual mailbox behavior. After these issues are isolated, the next step, Remediation, begins. Remediation includes a full review of security controls within Office 365. Since it is cloud-based, Microsoft already includes a number of settings related to security. However, many of these controls can only be activated manually, so you need an expert like Peters & Associates to fully protect your environment. Remediation will also take care of most problems found within the Health-Check. Shutting down old accounts, restoring compromised credentials, and fixing erroneous mailbox rules are just some of the ways we can secure your environment. But just fixing the problems isn’t enough… you must prevent them from occurring again! This is where the Multi-Factor Authentication comes in. By instituting a base deployment of MFA with a subset of 10 users, you enhance the strength of your identity perimeter into the future. Protecting your most important employees’ Office 365 credentials may make the difference in avoiding corporate data scandals. MFA is simply the easiest, and most user-friendly, way to secure the login information of your organization. The final, optional, phase of Office 365 Multi-Factor Authentication is a Weekly Security Audit. This includes a recurring, weekly review of your Office 365 environment to find any suspicious behavior, almost in real time. This can allow you to detect and respond to threats as they happen. Ongoing monitoring is the best way to confirm the security of your Office 365 environment. If you have Office 365 and aren’t actively monitoring for security threats, you may already be compromised. About 40% of the organizations we’ve reviewed have had some of the erroneous behavior described above. For help with assessing your Office 365 environment, remediating issues, instituting MFA, and monitoring in the future, contact a Peters & Associates representative. 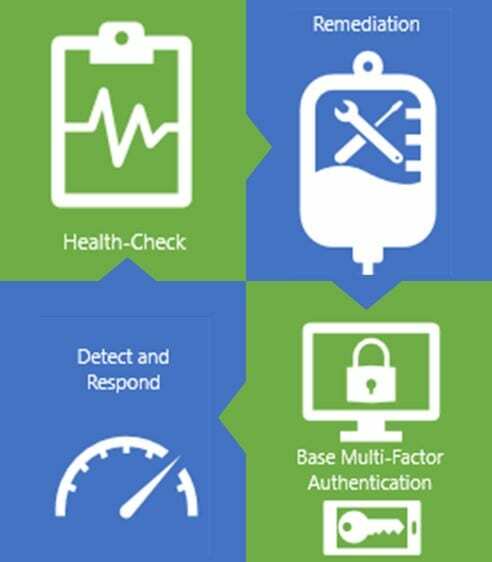 We have all the tools needed to fully implement an Office 365 Multi-Factor Authentication. Email info@peters.com today!